A few factors combined to make this project happen. From an inspiration point of view, I am a fan of the 1997 Starship Troopers movie and I have wanted to paint some 28mm figs to represent the Mobile Infantry for years. These Cadians are not an exact match, but they are heavily influenced by the Starship Troopers look. After discussing ways to quickly paint a Mobile Infantry force with a friend, I decided to try out some of my own theories on these. I am a big fan of Daniel Mersey’s Dragon Rampant, for various reasons. 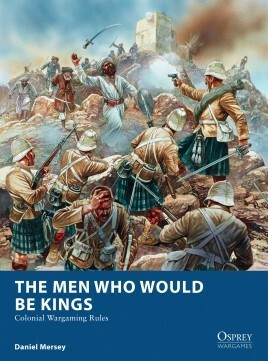 Based on the strength of that fantasy ruleset, I am planning to try The Men Who Would Be Kings by the same author as a large skirmish/small company sized sci-fi rule set soon. The idea of running sci-fi Rorkes Drift style scenarios with tribal orks or tyranids/arachnids etc is very appealing, so I wanted to paint some sci-fi human riflemen as well as other elements. Think Zulu in spaaace. 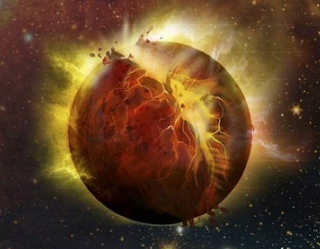 The timeline of the 40k universe has begun to advance. I’m quite interested in that. Cadia just fell (blew up I think in fact), so it’s fun to paint something that ties in with that even a little bit. We have the Emperors Administratum bookekeepers on our side! The painting on these is primarily a mixture of drybrushing and washing. An edge highlight is added in places to cover the most egregious chalky bits from the drybrushing. These guys wont win prizes, but they will be rather nice on the table I think and they were relatively quick and easy to produce. As the flesh areas are small and as the eye is drawn to faces, I layered rather than drybrushed those. A couple of other points, like the plasma gun coil and the flamer nozzle got a little more work too, to add some occasional extra visual interest. Oh yeah, I also painted eight crates, also visible in the photos. Very smart cheetor, turned out in double-quick time, but rather tasty even so. Thanks Axiom. More compromises were made than usual, but in the interests of getting the little guys finished, then thats ok. I love against the odds kind of scenarios. Eg Starship troopers in the compound scene, Zulu, The Alamo, Custers last stand, Battle of Camaron and the Battle of Saraghari. Great work on the models man. Will there be more to come? Bravery in the face of impossible odds and duty in the face of adversity stir notional images of how we would like to see ourselves. Thats why Hollywood keeps on churning them out. 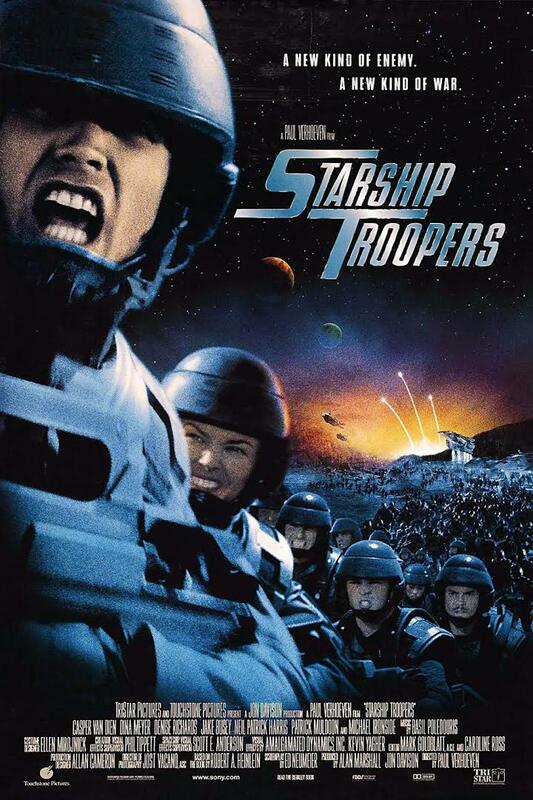 The Whiskey Outpost scene in Starship Troopers is really great, even now twenty years later. I have many plans underway for more of these guys, yes. I would love to get a few more finished. Thanks for the kind words imperialrebelork. Somehow I had a feeling bad things had occurred around Cadia. It’s a good project, and you did a very nice job with them, much as always. 🙂 Those Cadians remind me quite a lot of the Rebels from Return of the Jedi, which was a childhood favorite. I never pictured them that way but now that I think about it, Cadians would look great in Endor camo. Certainly not as flashy as most of my offerings. Its a conscious decision with this project, to make these guys at least a little more restrained, to contrast with my more lurid forces. I did add yellow foliage and and yellow green liquid to the bases in a effort to bring out the blueish colours in the uniform. Ill add some orange plants to the next batch perhaps. Thanks for the feedback Allison! Those figures could work as RotJ Rebels now that you mention it. The obvious figure for that to me is the Rogue Trader Citadel figure “Worldburner”. Its the hat mainly. Yeah, Cadia is an ex-planet now. Im enjoying the development in the timeline. Yep, they’re a bunch of Ml kids that look like they could be eaten by bugs for lunch. Or more appropriately in Cadias case, by hellspawn. But seen one disembowelling, seen ’em all. Fleet flies while MI dies…everybody fights, or I’ll kill you myself…love Heinleins work! Verhoeven and Heinlein came at the issue from different angles, thats for sure, but I am very fond of the movie. It was long an underrated classic, bu it seems to have gained some sort of artistic and critical cred over in recent years. Although how people could have missed that it was a satire boggles my mind. Paul Verhoeven is a real classic director (even including Showgirls!) and these are a nice homage, very nice indeed. Im a big Robocop fan and although I dislike Schwarzennegger films generally, Total Recall is my favourite Arnie movie. I made it halfway through Showgirls before I gave up. I wanted there to be something in it that the critics missed, but if there is, I also missed it. I have never seen Basic Instinct funnily enough. The PJs are a bit scruffy, but the important thing is that I now have a small squad of MI ready to use. More to come too all going well. I always thought Showgirls was a sort of attempt to show Shakespearean drama and intrigue didn’t have to be confined to the MacBeths and Hamlets of the world, but could manifest in humbler environs…. to not much success I guess. My dad and I are the only people I have ever spoken to who, not unequivocally but overall, like it! My favourites, aside from Robocop, are some of his Dutch films, Black Book, and Soldier of Orange in particular are worth looking at. All of his films though have heavy elements of satire, and the “heroes” are always questionable in their motives. Soldier of Orange is the pre-Hollywood movie that is mentioned most often in reference to Verhoeven. I must chase it down and watch it. I might try to rewatch Showgirls bearing your comments in mind. Maybe. I do think that the combination of Ed Neumeier screenplays plus Verhoevens direction is the potent combination that grabs me most… but Total Recall is fun too and Neumeier didnt write that so maybe. Interesting… at least it’s not just me and my dad but a country of millions of people. He makes the point I was making I think… A Mozart operetta (or a Shakespeare play) just with lots of naked breasts! That was the idea anyway, opinions seem to differ as to whether he succeeded or not…! A very nice squad in double quick time. The scheme is pleasantly realistic without being dull, and they look top dollar all together. Nice water effects too. An ogryn, and now guard? Going all Imperial, are we? Im aiming for a semi-realistic look with these. With so many other weird alien brains and lurid birdmen and the like in my collection of painted figs, I like the idea of having some relatively sedate humans to give a point of reference. My toy soldier leanings have always been toward to the more oddball elements, so its fun to bulk out some of the Imperial elements. I suppose these are part of an Imperial Agents sort of force really. And yes, I do hope to add some ogryns in this scheme. Thanks for the encouragement Mr S! Nice work. Always liked the classic cadian look. I wish GW had gone this way for the plastics, rather than the lumpy football players in moon boots. Im not a fan of the Cadian plastics. The early sets were unappealing to me. They did seem to get more refined as they went on though. I would be quite happy to add some of the weapon teams for example. Funnily enough, I didnt like the Cadians that much when they came out. I wanted the basic Guard to look like the old RT era Copplestone IG. I warmed to the Cadian design though and by the time they had been converted into traitor guard in the Eye of Terror Codex I was fully on board with the sculpts. They have an austere, practical look that I like. I hope to pick up a few more at some point. As my wife said when she saw them, the look like “proper toy soldiers”, which is fun. As an army/faction, these are my favorite GW sculpts. I know some people think they are too generic, but to me that is what makes them so perfect. …and they take paint so easily. I agree entirely with this Will. As some of the very few realistically POV characters in my toy soldier ranks, the Cadians are certainly better as tabula rasa for the imagination to project onto. If everyone is a heroic and unique individual, then nobody is. 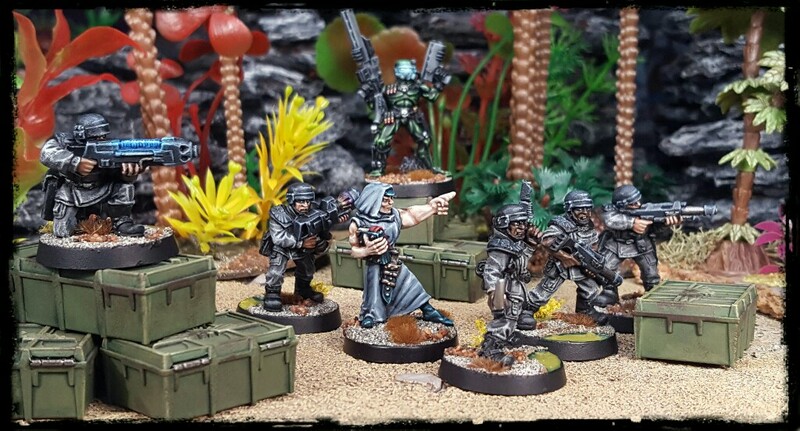 I am sorely tempted to get a few more of the Cadians, but not right now. Soon though. Your post sold me on MWWBK, as I already have Lion and Dragon Rampant. My copy arrived a few days ago, along with a small stack of other Osprey rulesets that I’d been eyeing. One day I may even read and/or play them! I am a fan of the Rampant games (Lion and Dragon are each good to have even if ones focus is on fantasy gaming).